Syringa Wireless Archives · Stop the Cap! An independent cell phone provider in Idaho has found a unique niche to innovate beyond offering traditional cell phone service by launching unlimited 20Mbps home broadband Internet access over its wireless 4G LTE network. Syringa Wireless of Pocatello has launched a pilot LTE home fixed broadband trial that comes free for the first year if customers agree to buy the necessary equipment — a $300 wireless router. The service promises up to 20Mbps service, which represents a major improvement in communities where broadband speeds consistently rank among the slowest in the nation. The pilot trial is open to residents in Rexburg, Ammon, Blackfoot, Chubbuck, Pocatello, Rupert, Burley, and Filer — all in Idaho. The company encourages those interested to sign up for the trial before the end of November. 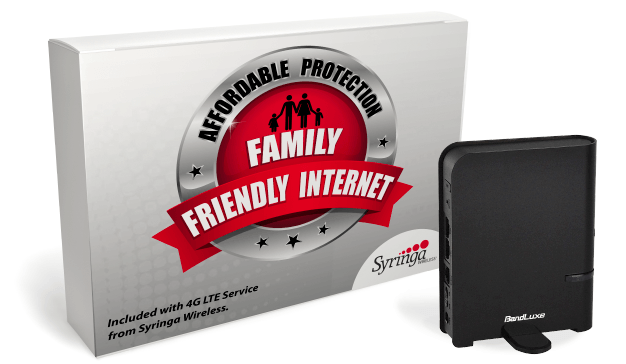 Another innovation from Syringa is the company’s free “Family-Friendly Internet” option for residential, church, and business customers. It filters the Internet to block adult websites and claims not to slow down Internet connections. Syringa’s fixed wireless broadband puts the company in a stronger position for a Wireless Internet Service Provider (WISP), because it is able to also market traditional cell phone service for its rural customer base. Syringa still sells unlimited smartphone data plans and has a roaming agreement with a major national carrier for cell phone users traveling outside of Syringa’s home service area. Many independent cell phone providers are struggling to survive because they are unable to sell the most popular new smartphones until they have been available at larger carriers for several months. A fixed wireless broadband service may diversify Syringa sufficiently to withstand any challenges from larger operators. Founded in 2006, Syringa Wireless is Idaho’s only fully integrated wireless provider, offering cell phone service including data, text messaging, and shared minutes, with preset and unlimited options. Both local and national plans are available, with and without contract. The company also has custom plans for business users and offers service at local stores in southern and eastern Idaho.